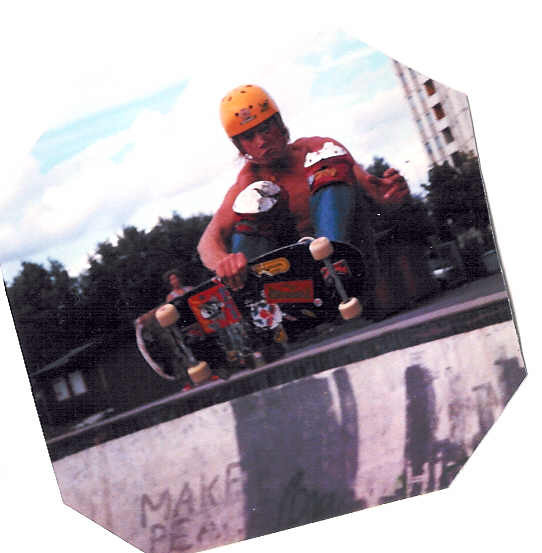 EMRIK, frontside air, Skateland, Göteborg. TORSTEN,layback-air, Kungälvsrampen, mitten av 80-talet. 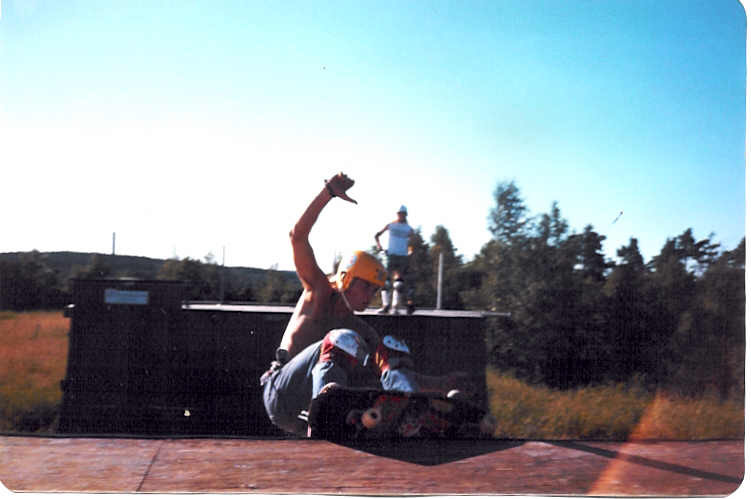 TORSTEN, "radical" frontside air, Skateland, Västra Frölunda. Torre,grinding down some wood, Kungälv. 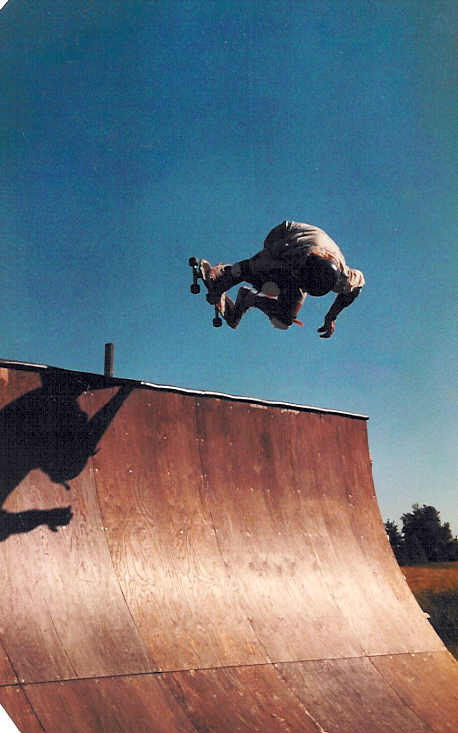 Frontside air, bye bye blackbird! 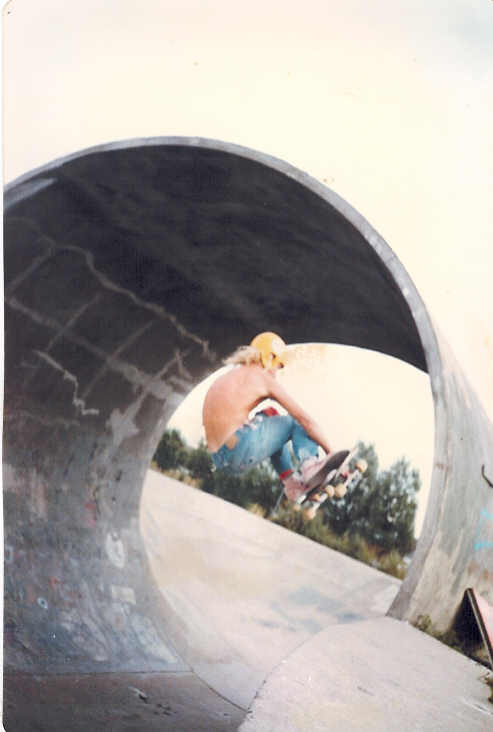 AIR beyond expectations, Skateland, mid eighties. 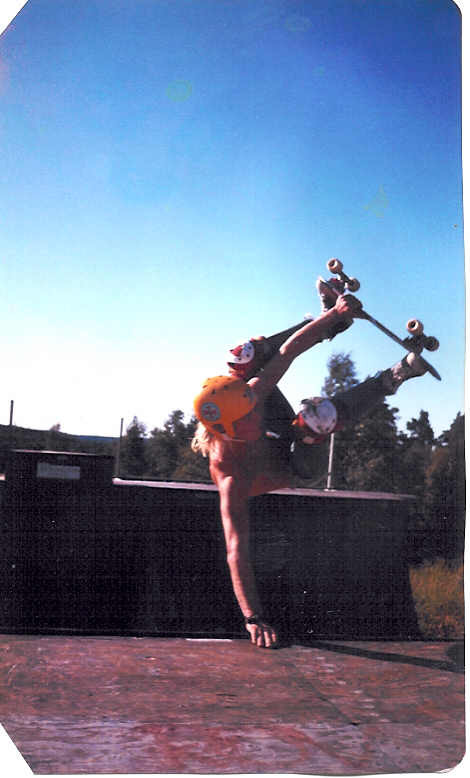 Backside air, Stenungsund a long, long time ago, when punkrock was still alive, the synths started to sound weird and the mohawk became old hat. The king of layback air. Used to be my favorite trick.